threats and aggression, or other threats as directed by the President. An external threat or aggression is an action, incident, or circumstance that originates from outside the boundaries of the homeland. Threats planned, prompted, promoted, caused, or executed by external actors may develop or take place inside the boundaries of the homeland. The reference to external threats does not limit where or how attacks may be planned and executed. 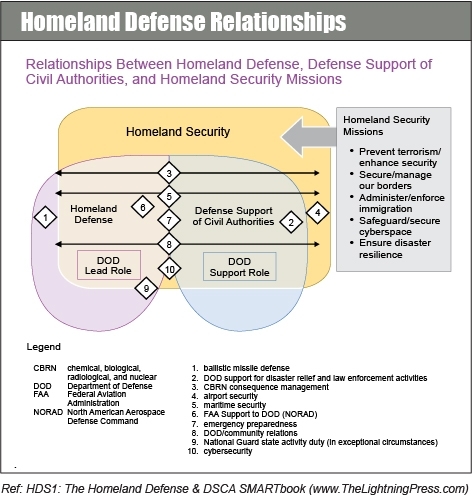 DOD is responsible for the HD mission, and leads the response with support from international partners and United States Government (USG) departments and agencies. HD is executed across the active, layered defense construct composed of the forward regions, the approaches, and the homeland.